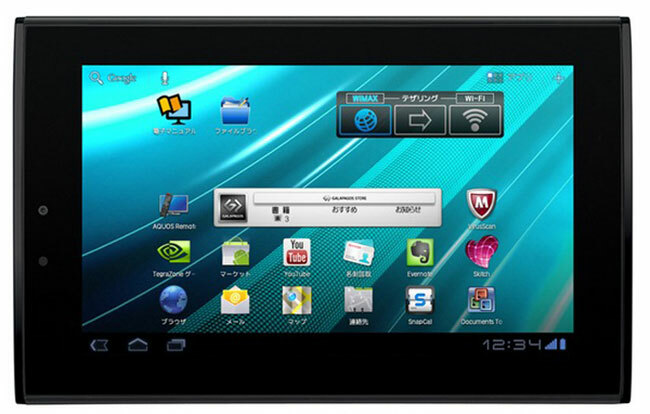 We heard a while back that Sharp has decided to kill off two of its Android tablets, and now the company has launched a new Android tablet which is headed for Japan, the Sharp Galapagos EB-A71GJ-B. This new Sharp Galapagos tablet features a 7 inch touchscreen display and it comes with Android 3.2 Honeycomb, processing is provided by a dual Core NVIDIA Tegra 2 processor and it also comes with 1gB of RAM. Others specifications include 8GB of built in storage, a rear facing 5 megapixel camera and a front facing 2 megapixel camera, it will go on sale in Japan shortly for around 58,900 YEN which works out at about $765.